Pack Your Smoothie With Protein, Vitamins, and More! 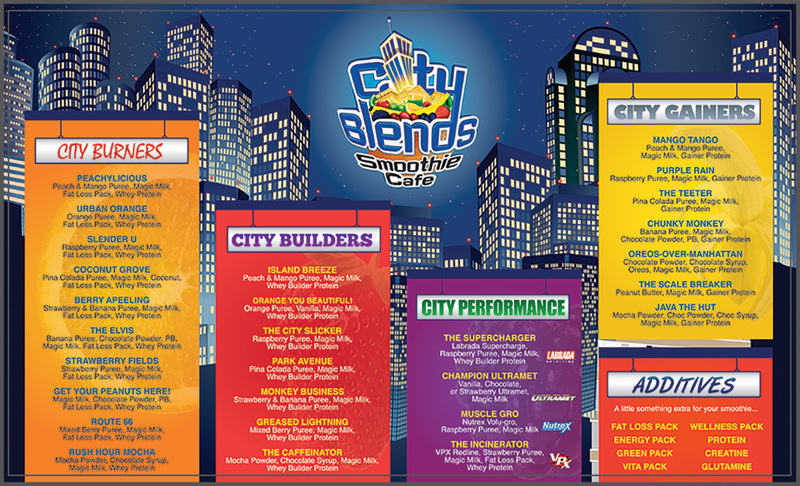 City Blends Smoothie Cafe is the perfect place to find healthy fruit smoothies before or after your exercise class. If you want workout smoothies that will help you build muscle and recover from your latest training session, visit City Blends today!